Section 1. The name of this organization shall be the Western North Carolina Conference Lay Organization (WNCCLO) of the African Methodist Episcopal Church. Section 1. Mission Statement. 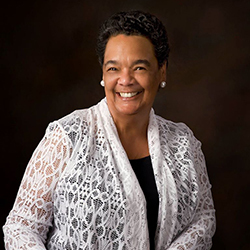 The Lay Organization of the Western North Carolina Conference Lay Organization (WNCCLO) of the African Methodist Episcopal Church is commissioned to teach, train and empower its members for lay ministry, global leadership and service following tenets of Jesus Christ. Section 2. Purpose. This organization shall be to organize and train the laity of the African Methodist Episcopal Church, so that each layperson may maximally utilize their God-given abilities and skills to improve and extend the kingdom to create happiness, peace and harmony among its members. n. To give financial assistance to the Connectional Lay Economic Development Corporation (CLEDC) in support of Connectional programs. Section 1. The Western North Carolina Conference Lay Organization shall be composed of all Districts of the Annual Conference and Organizations of a Station, Mission or Circuit. The divisions shall mirror the responsibilities of the Connectional Organization. Section 2. The District Lay Organization of the Annual Conference is optional, and shall only be organized where the Conference Lay Organization determines it to be necessary for the efficient conduct of its business. If such a determination is made, the Conference Lay President shall, after giving fourteen (14) days written notice, inclusive of the date, time, place and purpose of the meeting, to each charge in the district, convene and organize the District Lay Organization of the Annual Conference. The District Lay Organization of the Annual Conference, where organized, shall bear the same relationship to the Conference Lay Organization as the Conference Lay Organization bears to the Episcopal District Lay Organization. Section 1. Membership in this organization is open to all Lay (un-ordained) members of the African Methodist Episcopal Church, in good and regular standing, in their Local Lay Organization. Good and regular standing is defined as every member being governed by the Constitution of the Lay Organization, pays required dues as set by his/her local lay organization, attends fifty percent (50%) of the local lay organization meetings and participates at the Conference Lay, Districts of the Annual Conference Lay, and Episcopal District Lay Organization levels. a. All elected officers of the Western North Carolina Conference Lay Organization. h. 1) A member must be at least 18 years of age; 2) has completed a lay membership form; 3) paid the annual membership and hold a card from their Annual Conference or is listed on their Annual Conference Membership Roll. i. Voting privileges are granted to persons meeting the requirement of membership as stated in Article IV, section 1. 8. The President or his or her designee shall preside over all the election of officers on the Annual Conference level. 2. Assume the complete duties of the President during an absence or when it has been determined by the Executive Board that the President can no longer perform the duties. 2. Serve in the absence of the President and First Vice President, preside at the meetings and assume all duties of the President. 1. Coordinate such duties as Personal Evangelism and coordinating those efforts with the appropriate departments, within the church, and in the absence of the President, First Vice President and Second Vice President preside at the meetings and assume all the duties of the office of President. 5. Hold the bond of the Treasurer and the Financial Secretary. 2. In the absence of the Secretary, shall perform the duties of the Secretary. 4. Compose communication as needed and/or directed by the President. Maintain liaison with the Director of Public Relations to insure publication of pertinent information. 5. Have the accounts audited, annually, by an external Audit/Accounting Firm approved by the Executive Board. 5. Be bonded and said bond shall held by the Recording Secretary. 3. Maintain effective communication with the Chaplains on the Annual Conferences. 4. Find a place to keep historical records. 4. Serve as consultant to the Constitution and By-Laws, Rules, and other committees as needed. 8. Prepare an annual and biennial line item budget to reflect the work of this office for submission to the Budget Committee. 1. Oversee all official publication of the organization, editing, and publishing a periodical containing news of general interest to the laity and news regarding the organization. 5. Prepare an annual line item budget for the publication for submission to the Budget Committee. 6. Seek to bring about harmony of understanding between the church and public through the channeling of information to various media. 7. Be responsible for all press releases and public relations for and during any Lay Organization meeting. 8. Disseminate news items of interest received from the Annual Conference through the Newsletter and/or multi-media processes. 1. Be responsible for implementing teaching and training opportunities for Young Adults in conjunction with the Director of Lay Activities, and establishing working relationships with other relevant Young Adult Auxiliaries and Ministries within, and outside the AME Church. 3. Advocate for Young Adults� concerns to the Conference Executive Board and beyond. 4. Facilitate Lay Organization Young Adult events with approval of the Executive Board. 5. Voice the concerns and visions of a new generation of laity, and serve as a Christian mentor to a younger generation of African Methodists. 1. Be responsible for seeking out local Churches without a Lay Organization. 2. Assist local Churches with organizing its membership to elect officers. 3. Work with the Director of Lay Activities with the distribution of training materials and general information concerning the operation of local Lay Organizations. 4. Coordinators must reside in the district that they represent. Section 2. The Annual Audit shall include the records of all officers handling finances of the Western North Carolina Conference Lay Organization and shall be conducted by an external licensed, bonded, and insured Certified Public Accounting firm, which shall report its findings, annually, to the Executive Board for review and approval. This Audit Report shall serve as the basis for the Annual Report of the Western North Carolina Conference Lay Organization as required by the Connectional Lay Organization. Upon approval of the Executive, the Audit is then presented to the designated Conference Executive Board meeting which will include an annual programmatic report from each office with an operational budget. Section 1. All officers and members of the Western North Carolina Conference Lay Organization and its Divisions shall be members in good and regular standing in their Station or Circuit Organization to participate in elections and voting. Section 2. Any person seeking an elected office on the Western North Carolina Conference Lay Organization must be a member in �good and regular standing� in the organization and must possess the qualifications required for the position being sought. Any candidate for elected office must have registered and attended at least four (4) Business Sessions within the two (2) year period immediately preceding the election year. Registration shall be confirmed from the official registration records to be provided to the nominating committee upon its appointment. Section 3. All persons seeking an elected office must submit a �Letter of Intent� with qualifications signed by the Western North Carolina Conference Lay President to the Chairperson of the Nominating Committee. The format for the Letter of Intent will be provided by the Nominating Committee and must be returned by certified mail and postmarked at least one month before the election (conference) year. This deadline date will constitute the close of all nominations submitted to the Nominating Committee. Section 4. All candidates seeking an elected office must have demonstrated active participation in the Annual Conference, Districts of the Annual Conference (where they exist), and local church levels within the ten (10) year period preceding the election year and must be a paid member, as define by Article IV. Section 5. No elected officer shall hold more than (1) one additional office beyond the Local organization. a. Appointments shall be sensitive to age diversity, at least one (1) person between the ages of 18 - 30 and all persons must have demonstrated experience with the nominating process. Selection of committee members must respect the guidelines that govern the committee�s duties and reporting timelines. a. At least nine (9) months prior to Conference Annual Meeting, the committee shall call for nominations through a notice submitted by letter or the Western North Carolina Conference website, and any other appropriate printed or online communication. Such notice shall inform members when, how and where nomination forms can be obtained. Nomination forms shall also be sent to Executive Board members and local Lay Presidents for distributions to interested persons. The nomination form shall request biographical data and other pertinent information which will aid in the qualifying of candidates. Such forms shall be returned to the chair of the nominating committee by prospective nominees, bearing the signature of the Conference Lay President, no later than 1 month prior to the convening of the Conference Annual Meeting. b. The committee shall thoroughly examine any and all necessary information regarding nominees for elected offices being sought. Each nominee must be notified of his/her eligibility which signals authorization to campaign for the designated office. From those persons found qualified for the offices being sought, the committee shall prepare a slate of nominees, listing the qualifications of the nominees for offices to be elected at the Conference Annual Meeting. On or before April 1st, prior to the convening of the Conference Lay Organization�s Annual Session, the slate will be distributed to the Executive Board of the Western North Carolina Conference Lay Organization for approval prior to being provided to each station, mission or circuit Organization. c. No political campaigning for office shall take place before candidates are qualified as nominees by the Nominating Committee. Campaigning is defined as placing ads in Souvenir Journals or any AME Church Publication (where applicable) at any level as a candidate, distributing campaign literature/paraphernalia or visits to formal functions of the Episcopal District Lay Organization or its subordinate bodies with the expressed purpose of campaigning. Participation in campaign activities prior to being qualified as a nominee will result in valid disqualification for that candidate, if confirmed by the Nominating Committee and the Executive Board. Potential candidates will be notified 60 days prior to election as to whether or not they qualify to run for office. At that time, they can begin their campaign. Section 1. Officers shall be elected at the Conference Lay Organization�s (even year) Annual Meeting, unless otherwise provided for herein. All elections shall be by secret ballot, electronic or paper, except in the case where the office is not contested. When there is only one candidate for office the chair can take a voice vote or declare that the nominee is elected, effecting the election by unanimous consent or acclamation. A majority vote shall be necessary to elect. Elected officers shall assume office immediately upon installation, at the close of lay night at the annual conference. The candidate seeking elected office does not have to be present to be voted upon. Any method of election in any division other than by secret ballot, except in the case of uncontested offices, shall be declared null and void by the Western North Carolina Conference Lay Organization. Section 2. The Western North Carolina Conference Lay Organization officers shall be elected to a two (2) year term at the designated Conference Meeting. Section 3. Term limitation. The elected officers of the Western North Carolina Conference Lay Organization and its divisions shall serve no more than eight (8) consecutive years in the same office. Section 4. If an officer completes a term of office which was vacated by the incumbent due to death, illness, resignation, and/or other conditions approved by the Executive Board, the unexpired portion of the term, will not count as a full term for the purposes of term limitation. Section 5. Transition Period. A transitional period of sixty (60) days or 8 weeks beginning at the close of the Conference Annual Meeting is provided for outgoing officers to reconcile files, records, and make inventories before transferring them to the incoming officers. Outgoing officers shall complete the transfer of all files, records, books, papers and property belonging to the organization to the incoming officers on or before the end of the sixty day period. Section 6. Vacancy in Office of President. If a vacancy occurs in the office of President due to death, resignation, disability or temporary inability or other causes, the First Vice President shall immediately assume the Office of President, for the unexpired term of office; the Second Vice President shall ascend to the Office of First Vice President, and the third Vice President becomes second Vice President, leaving the vacancy to be filled in the office of the lowest ranking Vice President. If the position was contested during election for the office of Third Vice President, the person with the second highest number of votes will immediately fill the position of Third Vice President. If the position was uncontested, the president shall, with the confirmation of the Executive Board appoint an active member, possessing qualifications for the office of the third vice president, to fill the vacancy, if the remainder of the term is less than two (2) years. A majority vote by the Executive Board shall determine the result. If the remainder of the term of office for The Third Vice President is greater than two (2) years, a special election shall be held by the Executive Board within forty-five (45) days, of the vacancy date, to fill this position. The Letter of Intent shall be sent to the person who last served as Chairperson of the Nominating Committee by each person who wishes to be a candidate for the office of third vice president. Nominating procedures, approved for last Conference Lay Organization�s Annual Meeting election, will be used for the election. All voting shall be by secret ballot (electronic or paper). Any person appointed and/or elected to fill an unexpired term of President shall subsequently be eligible to be elected to four (4) full two (2) year terms in accordance with this constitution and By-Laws. Section 7. Vacancy of Elected Officer other than President. If a vacancy occurs in an elected officer�s position, other than that of a President, due to death, resignation, disability or inability to serve, the President shall, with the confirmation of the Executive Board, appoint an active member, possessing qualifications for the office, to fill the vacancy if the remainder of the term is less than two (2) years. A majority vote by the Executive Board shall determine the result. If the remainder of the term of office is greater than two (2) years, a special election shall be held by the Executive Board within forty-five (45) days, of the vacancy date, to fill this position. The Letter of Intent shall be sent to the person who last served as Chairperson of the Nominating Committee by each person who wishes to be a candidate for the vacant office. Nominating procedures, approved for last District Lay Convention election, will be used for the election. All voting shall be by secret ballot, electronic or paper. Any person appointed and/ or elected to fill an unexpired term of office shall subsequently be eligible to be elected to four full two (2) year terms in accordance with this Constitution and By-Laws. Section 8. Removal of Elected Officer. The Organizational and Officers Effectiveness Committee shall give its findings annually. Any elected officer, not performing his/her duties, as outlined in this Constitution and By-Laws, shall be notified in writing by the President, of his/her failure to perform designated duties, with a forwarded copy to the Chairman of the General Board Commission on Lay Organization, and the Executive Board. If failure to perform his/her duties continues for a period of ninety (90) days after notification, the matter will be referred to the Executive Board for action. If the President is not performing his/her duties, as outlined in this Constitution and By-Laws, he/she shall be notified in writing by the Executive Board through the Corresponding Secretary of his/her failure to perform designated duties. The Executive Board, may, in the interim of the Conference Lay Organization�s Annual session suspend the elected officer. The final decision to expel or reinstate from/to office shall rest exclusively with the Western North Carolina Conference Lay Organization in its Annual Conference session. The Organizational and Officers Effectiveness Committee will give guidelines, implementation and corrective actions when deemed necessary. Section 9. Conference Lay Organization Officers shall be elected biennially. Section 10. Districts of the Annual Conference Lay Organization Officers shall be elected biennially. Section 11. Station or Circuit Lay Organization Officers shall be elected annually. Section 1. The Western North Carolina Conference Lay Organization shall have the right, at all time, to pass upon the qualification of his own members and may reject or accept the membership of any person. Each officer shall be responsible for understanding and fulfilling his/her duties and those officers with a budget shall prepare and submit an annual line item budget for approval by the Executive Board. 1. Prior management experience, preferably in non-profit organization. 2. Prior service as either an elected officer of the Episcopal District, Conference, Districts of the Annual Conference or local church Organization. 3. Five years of administrative, supervisory, or fiscal management experience. a. Qualifications. Any candidate seeking the position of First Vice President must possess the same qualifications as provided for the President. a. Qualifications. Any candidate seeking the position of Second Vice President must possess the same qualifications as provided for the President. a. Qualifications. Any candidate seeking the position of Third Vice President must possess the same qualifications as provided for the President. 1. Proficiency in writing and composition of the English language, basic reading competency, editing and record keeping skills. 2. Experience in word processing or other technology (electronic media) available for recording, storing, and retrieving information. 3. Prior secretarial experience or training. 4. Ability to prepare and present minutes and reports. a. Qualifications. Any candidate seeking the position of Assistant Recording Secretary must possess the same qualifications as required for the Recording Secretary. a. Qualifications. Any candidate seeking the position of Corresponding Secretary must possess the same qualifications as required for the Recording Secretary and have experience in database management. 1. Experience in financial management, including but not limited to, the areas of accounting, bookkeeping, and finance, preferably in non-profit organizations. 2. Five years of experience working with non-profit accounting, finance, bookkeeping, economics and budgeting. 3. Ability to be bonded. 4. Experience and knowledge with computerized financial or accounting software and financial accounting/reporting. a. Qualifications. Any candidate seeking the office of Financial Secretary must possess the same qualifications as those of the Treasurer. 1. A Christian commitment, possess a high level of spiritual maturity, effective interpersonal and communication skills. 2. Training and experience in Christian Education. 3. Knowledge of the Bible and the AMEC Hymnal. 4. Experience in preparing and conducting Bible study and worship. 1. Prior experience with emphasis in research, writing, and publishing historical information. 2. Proficiency in English is required. 3. Ability to use technology (electronic media, including video, photos, and other graphics) for data gathering, organizing, record keeping and writing. 4. Knowledge of record and artifact preservation specific to an organization�s founding, operations, projects, and other activities. 1. They are a registered Parliamentarian in good and regular standing of the National Association of Parliamentarians or an equivalent certification at the time of nomination. Where there are no qualified candidates, the President, with the approval of the executive board and for any fee that will be required, may contract for such services to be provided, at a competitive rate to the organization as needed. Preference will be given to members of the AME Church in good and regular standing. 1. Extensive experience in research, speech, writing and proficiency in the English language, program planning, development, designing, implementation, teaching, training, adult learning, and/or administration, and technology (electronic media, including video, photos, and other graphics) for data gathering, organizing, record keeping and writing. 1. A working knowledge of media relations, marketing, sales, prior experience in preparing and distributing press releases. 2. Strong communication skills and extensive experience in English, speech, and journalism. 1. Be between the ages of 18-30 at the time of election. Completion of high school and pursuing a post-secondary degree (at the optimum) is required. 3. Possess strong abilities to provide training, and demonstrate effective communication skills. Section 1. There shall be an Executive Board of the Western North Carolina Conference Lay Organization, composed of the elected officers of the organization and the President of each Station, Mission, or Circuit Church Lay Organization of the Conference, President Emeriti, chairpersons of standing committee. Section 2. The Executive Board shall meet at least once but no more than twice, annually, at the time and place designated by the President and members of the Executive Board. Section 4. The President of the Western North Carolina Conference Lay Organization shall preside over the meetings of the Executive Board, and the Recording Secretary shall serve as secretary of the Conference Lay Convention. Section 5. The Executive Board shall have the authority to make recommendation as to the official conduct of any elected officer, provided however, that any decision to suspend, expel or remove from office shall rest exclusively with the Western North Carolina Conference Lay Organization. Section 6. The Executive Board shall establish the rules and regulations by which it shall be governed. The Board shall have power over the supervision and direction of all affairs of the Organization during the interim of the Conference Sessions of the Conference Lay Organization except that it shall not infringe upon any of the expressed constitutional provisions herein set forth and provided. Further, the general body in its Conference Annual Meeting, may nullify, abrogate, or rescind any action of the Executive Board. Section 7. The Executive Board shall pass upon the Constitution and By-Laws of the Annual Conference Lay Organizations to determine their compliance with or conformity to the Constitution and By-Laws of the Connection Lay Organization. Section 8. The Executive Board shall have such other authority as may be necessary to carry out the general purposes and intent of this Constitution. Section 9. The Executive Board may establish an Advisory Council to act in a purely advisory capacity. The Advisory Council may consist of past presidents of the Western North Carolina Conference Lay Organization and such other distinguished lay members as the President may designate. The Advisory Council shall not exceed five (5) persons. Section 10. The Annual Audit shall include the records of all officers handling finances of the Conference Lay Organization and shall be conducted by an external licensed, bonded, and insured Certified Public Accounting firm, which shall report its findings, annually, to the Executive Board for review and approval. This Audit Report shall serve as the basis for the Annual Conference Lay Organization as required by the General Board. Upon approval of the Executive Board, the Audit is then presented to the Biennial session and this would include an annual programmatic report from each office with an operational budget. Section 1. The Annual Meeting of the Western North Carolina Conference Lay Organization shall be held Second Saturday in April or no later than the Fourth Saturday in April which will be held every year (even years for election). The site of the Annual Lay Meeting shall rotate throughout The Annual Conference. Section 2. All meeting Roll Calls and membership attendance records shall be maintained by the Recording Secretary. Section 3. The Conference President and/or a majority of the voting members of the Executive Board may call an emergency meeting of the Western North Carolina Conference Lay Organization when such a meeting is deemed necessary. The time, place, and object of such Special or Emergency Meeting shall be clearly set forth in the official call or notice. Only those matters expressly set out in the notice or call shall be deliberated upon, provided however, that no election of officers shall take place at a special or emergency meeting. Section 4. All delegates to the District Lay Convention must be elected at a regular or properly convened meeting. The names and addresses of all delegates must be submitted to the Episcopal District Financial Secretary on or before April 1st of the Convention year. These names shall be forwarded to the District Director of Lay Activities by the Financial Secretary on or before May 1st of the Convention year for the expressed purpose of expediting pre-registration for Educational sessions. Section 1. Voting privileges in the Western North Carolina Conference Lay Organization shall be confined and restricted to persons set out under Article IV of this Constitution. Section 2. No person shall be entitled to more than one (1) vote on an issue or matter in the Conference Lay Organization, and must be personally present to exercise such privilege. No proxy or absentee voting shall be permitted. Section 3. Unless otherwise indicated, the majority vote shall prevail in determining all matters. Section 4. Voting privileges are restricted to those members who have registered for the meeting and have attended at least four (4) business sessions or seventy- five percent (75%) of the scheduled Conference meetings within two (2) years prior to the election of officers as defined by Article IV. Section 1. The Episcopal District Lay Organization shall exercise prudent and appropriate authority, power, and supervision over all Annual Conference Lay Organizations established under the provisions of this Constitution. Section 1. Each Annual Conference, District of the Annual Conference, and Station or Circuit Lay Organization shall be vested with the full authority to make its own Constitution and By-laws, Rules and Regulations, as may be deemed necessary for proper and orderly conduct of its affairs and for the governing of its officers and members. Each Division�s Constitution shall conform to, and harmonize with the Connectional Constitution and By-laws. Each of these organizations shall have the authority to establish its own Executive Board, raise funds, and in general perform all duties incident to its existence as an autonomous body except, however, said organization shall not make Constitutions and By-laws, or Rules and Regulations which are in conflict with, or abridge any part of the Constitution and By-laws of the Episcopal District Lay Organization or the template for subordinate divisions. Section 2. A copy of the Constitution and By-laws of each Annual Conference must be filed with the Constitution and Bylaws Committee of the Episcopal District Lay Organization for examination and response. Section 4. This organization and each of its Divisions shall at all times be governed by the Constitution and By-Laws of the Connectional Lay Organization, The Current Book of Discipline, Laws, Doctrines, and Tenets of the African Methodist Episcopal Church and Robert�s Rules of Order, Newly Revised edition. To ensure successful and effective implementation of programs and projects of the Western North Carolina Conference Lay Organization, other than specified duties of elected officers per Constitution and By-Laws, all Chairpersons shall be appointed by the President. Section 2. Standing Committees are appointed to implement specific goals, objectives, and programs that advance of, and are vital to the functioning of the Conference Lay Organization. Each standing committee shall have no more than seven (7) members appointed by the president and approved by the Executive Board. Appointments shall be locale inclusive and age sensitive. The President, in appointing Committee members, shall follow these guidelines; at least one (1) person each District; one (1) person between the ages of 18 - 30, and all persons must have demonstrated diversity of experiences in the work assigned to the committee. Selection of committee members must respect the guidelines that govern the committee�s duties and reporting timelines. Section 3. Special Committees shall be the following: The Nominating, Elections, and Audit Committee. Special Committees are appointed to perform a task that does not fall within the assigned function of a Standing Committee. Section 4. Committees of the Conference Annual Session. The Committees of the Conference Annual session shall be: Rules, Elections Commission, Registration, Credentials, Health, Budget and Finance, Memoriam, Time and Place, Review of the Discipline, Evaluation, Resolution, Review of Job Analysis, CLEDC, Issues Facing the Church and Nation, Social Actions, Proposed Legislation, Young Adult, Executive Summary, Kit, Global Ministry, Higher Education Support, Constitution and By-Laws, AME V-Alert, Marshall/Staffers, Scholarship, Nominating and Strategic Planning. Section 5. The Credential Committee prepares and presents to the Conference Annual Meeting a certified list of registered officers and delegates that make up the voting strength of the convention. Section 7. The Budget and Finance Committee of the Western North Carolina Conference Lay Organization shall submit its final report to the regular session of the Organization. Section 8. The Budget and Finance Committee is composed of the Treasurer, and other members for a total of no more than seven (7): these members shall be appointed by the President. It shall be the duty of this committee to prepare a two (2) year budget, to be submitted to the President and the Executive Board for approval and the Annual Session for adoption by a majority vote. Section 9. The Constitution and By-laws Committee defines the primary characteristics of the organization, prescribes how the organization functions including all rules that the organization considers so important that they cannot be changed without previous notice to the membership and a two-thirds (2/3) majority vote of the Conference Annual Meeting. Section 10. The Organizational and Officers Effectiveness Committee shall report annually to Executive Board. The committee will propose and present for the Executive Board the process and tools for the officers evaluation and implement the process. The President has thirty (30) days after the close of the Conference Annual Meeting to appoint the Committee Members who will present their findings. Section 11. Ad Hoc Committee is appointed as the need arises to carry out a specific task. It automatically ceases to exist on presentation of its final report to the body. Section 12. All Committees shall be appointed by the President and approved by the Executive Board. a. This organization is amenable to the Conference Lay Organization and must report to the Conference Lay Organization at least annually. Section 3. Station or Circuit Lay Organization � The pastor of each Station or Circuit shall, within thirty (30) days after the Annual Conference, call a meeting of the members of the Charge for the purpose of organizing a Lay Organization where none exists. The Station or Circuit Lay Organization shall be composed of all members of said Station or Circuit who desire to join. The officers of the organization shall be elected from those enrolled in said organization. The President of the Lay Organization, or a duly elected representative of the local church, becomes a member of the Official Board by virtue of his/her office. Section 4. The officers of a Station or Circuit Lay Organization shall be those specified in Article V, Section 1 of this Constitution. The Station or Circuit Lay Organization shall fix the time for regular meetings, which should not be fewer than ten (10) times per year. Section 1. Amendment of By-Laws. Amendments to the Constitution and By-Laws of the Western North Carolina Conference Lay may be made by filing a copy of the proposed amendment with the Conference President and Secretary. The Secretary shall send an official copy of the proposed amendment to the Constitution and By-Laws Committee at least six months or one hundred eighty (180) days prior to the meeting of the Conference Annual Lay Meeting. The Constitution and By-Laws Committee shall send copies of proposed amendments, by certified mail, to each of the Station or Circuit Church Presidents. Two-thirds (2/3) vote of the members present and eligible to vote at the Conference Annual Lay Meeting shall be required to effect an amendment. The following shall constitute the By-Laws of this organization. Section 2. A majority of delegates present from the Station or Circuit Lay Organization of the Western North Carolina Conference Lay Organization with voting delegations at the Conference Annual Meeting and/or conference meeting shall constitute a quorum for the transaction of all business. Section 3. The members shall conform to all the rules and regulations of this organization; any member(s) guilty of an infraction or violation of the rules, or for conduct or decorum unbecoming a member, may be removed from membership herein. Section 4. The order of business herein before outlined may be changed by a two-third (2/3) majority vote of the delegates present at the Conference Session. Section 5. All reports of Presidents and other officers shall be in writing and submitted in triplicate copies, one to be left with the President of the organization, one to be left with the Secretary of the organization, and one to be retained by the officer making the report. Section 6. Any officer failing to perform his or her official duties shall be accountable to the Executive Board. Section 7. No officer, nor standing or special committee, shall incur any obligation, which shall be binding, unless such action was authorized in its inception, or subsequently ratified and approved by the organization. Section 8. The President shall be authorized to appoint and deputize, with sufficient power and authority, as many Marshals as may be deemed necessary to maintain order and decorum in the meeting. It shall be the duty of the Marshals to maintain strict order, see that only members are seated within established bounds of the meeting, and perform such other duties as may be assigned to them by the President in keeping with the duties of their office. Section 9. Any provision or condition not expressly covered in the Constitution and By-Laws of this Organization shall be interpreted and construed in keeping with the long established policy, customs, tenets, and traditions of the African Methodist Episcopal Church, The Book of Discipline of the African Methodist Episcopal Church, and Robert�s Rules of Order Newly Revised edition.